A very short walk behind the Japanese Gardens. 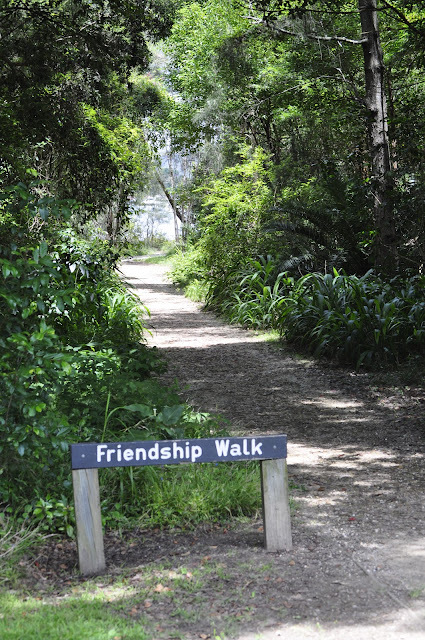 The Friendship Walk is located near the Gosford City Arts Centre and Japanese gardens. About 50m into the walk there is a junction where the right turn becomes a boardwalk leading through the bush and over mangrove habitats. 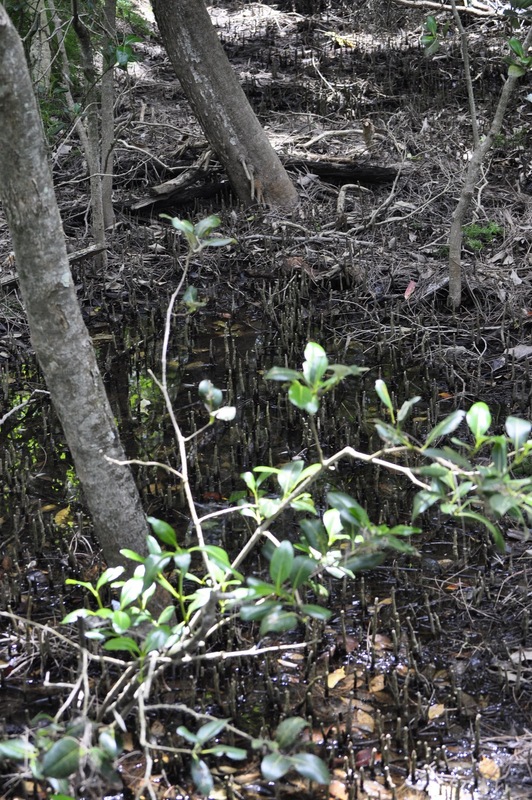 Many weeds had invaded the bush along the edge of the path and the pools of water appeared stagnant. The left turn was a path behind the japanese garden leading to a grassed area bordered with mangroves. There is an excellent cafe at the Japanese gardens for a cup of coffee or lunch. Lots of weeds growing in the bush. 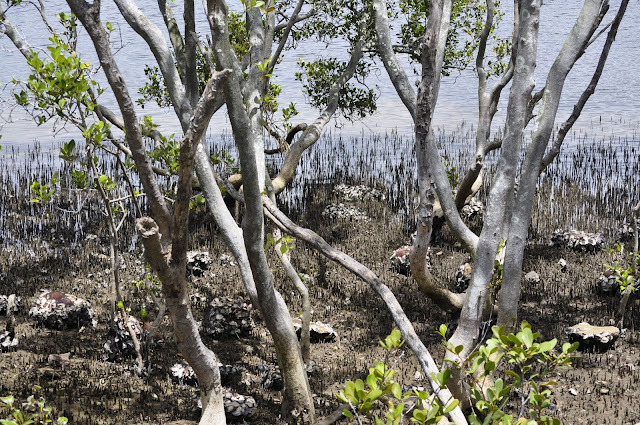 Mangroves on right hand side of the above bridge. Pencil like roots sticking out of the mud. 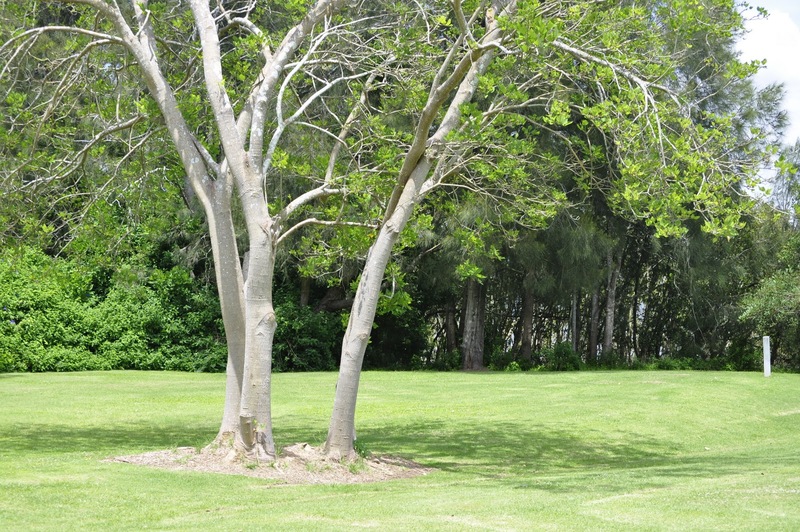 Facilities: parking, park with picnic tables. Nearby Arts Centre, gallery shop, toilets, cafe, restaurant and function centre and gardens. Location: 33 Webb St, East Gosford. From York Street turn either into Webb Street or left into Adelaide St. (there is no right turn into Adelaide St from York St). 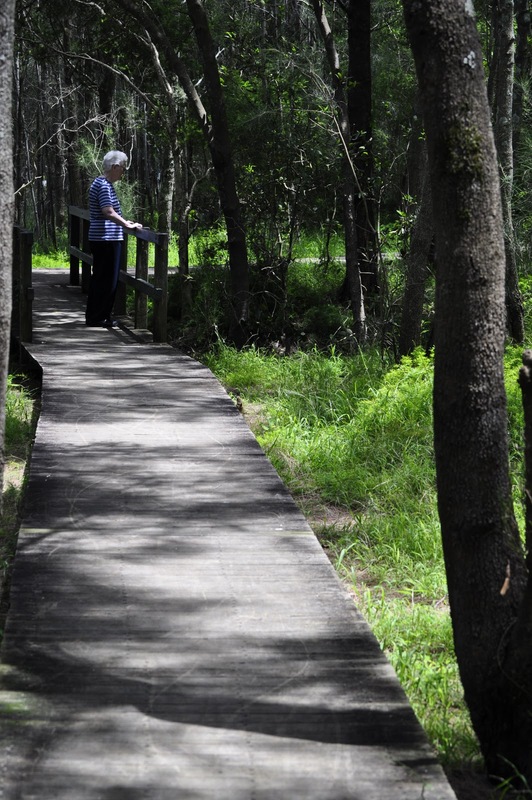 Park in the carpark for the Gosford City Arts Centre and Japanese Gardens. 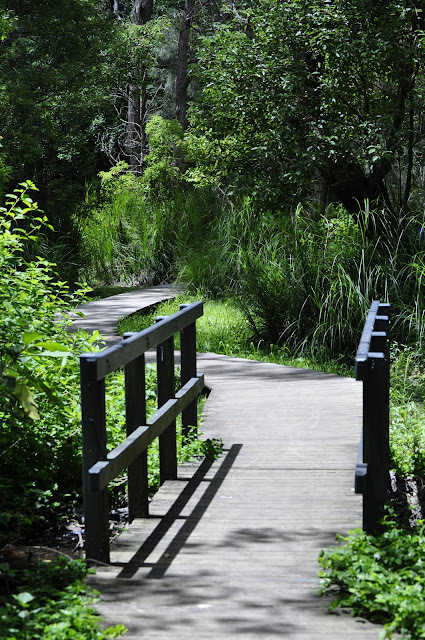 Continue on: to The japanese gardens which are right beside the Friendship Walk and are really worth visiting. Left path behind the Japanese Garden. Did the walk today and your description and photos are spot on. Was wondering whether the walk was part of a longer foreshore walk. This is not part of a longer walk, however some of the other walks can be linked. 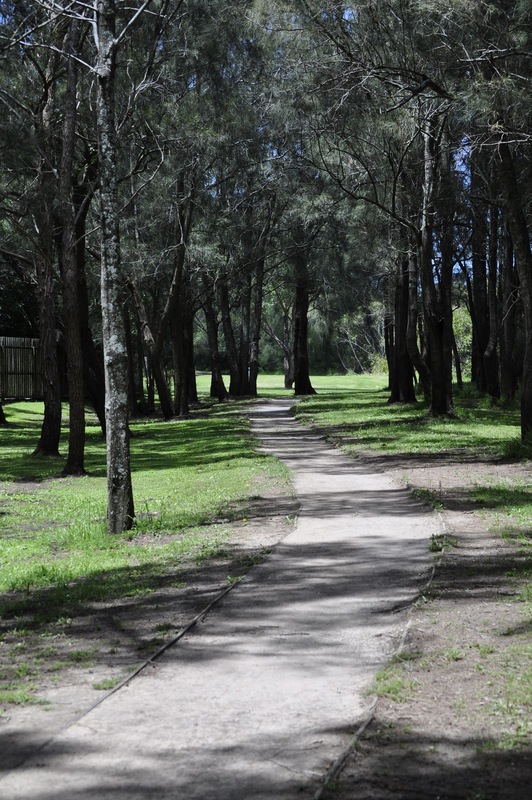 eg the Carawah Reserve walk and the Adcock Park walk.